Autocar's Matt Prior has taken a look at the 488 Pista at Geneva. Check out this video. Opinion: Has Ferrari really made the best better? The model uses the most powerful V8 in Ferrari’s history and is described as an “extreme evolution” of the turbo unit that won International Engine of the Year in both 2016 and 2017. The engine, vehicle dynamics, weight saving and aerodynamics are all derived from the 488 GTE and 488 Challenge race cars. Ferrari said the result is a car that offers track-like performance on the road and on circuits. The dry weight is 90kg less than a standard 488 GTB’s, at 1280kg. In addition, an extra 49bhp in engine power has ensured this is Ferrari’s most powerful V8 yet. 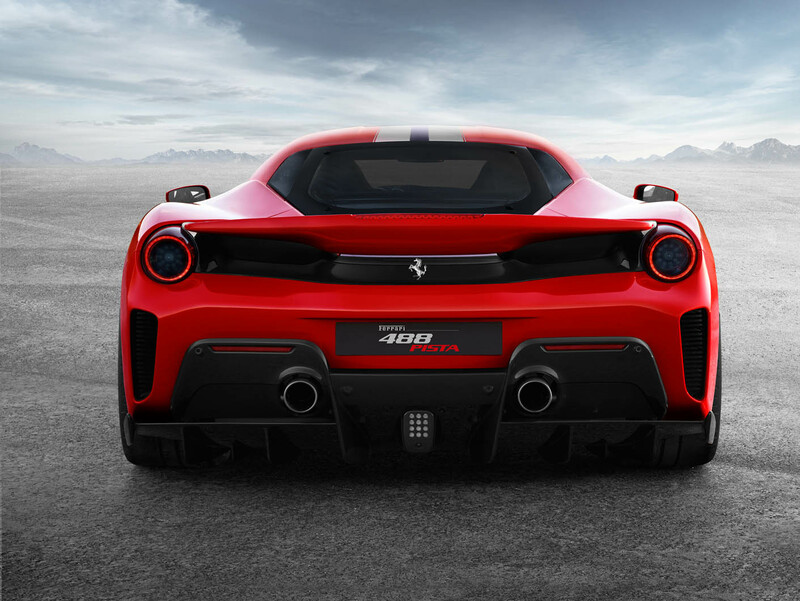 The weight decrease comes from features used on the 488 Challenge. These include Inconel exhaust manifolds and lightweight crankshaft and flywheel, plus titanium con rods and carbonfibre intake plenums. The 488 Challenge also supplies turbos with integrated rev sensors, while the air intake line has been moved from the flanks to the rear spoiler to help achieve better airflow. Torque is higher than the 488 GTB’s at all engine speeds, and the quality and intensity of the engine sound, Ferrari says, are higher than the 488 GTB in all gears and at all revs. Overall, there is a 20% improvement in downforce, according to Ferrari. 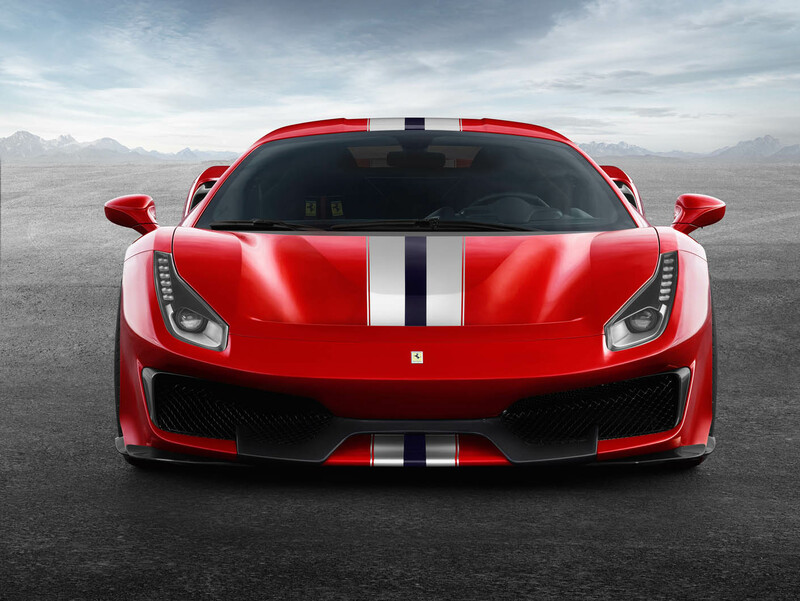 The Pista has an F1-inspired S-duct and redesigned front and rear diffusers from the 488 GTE. The Pista also introduces the Ferrari Dynamic Enhancer, which is a world first. It uses Ferrari software to adjust the brake pressure at the calipers, benefiting handling in corners. 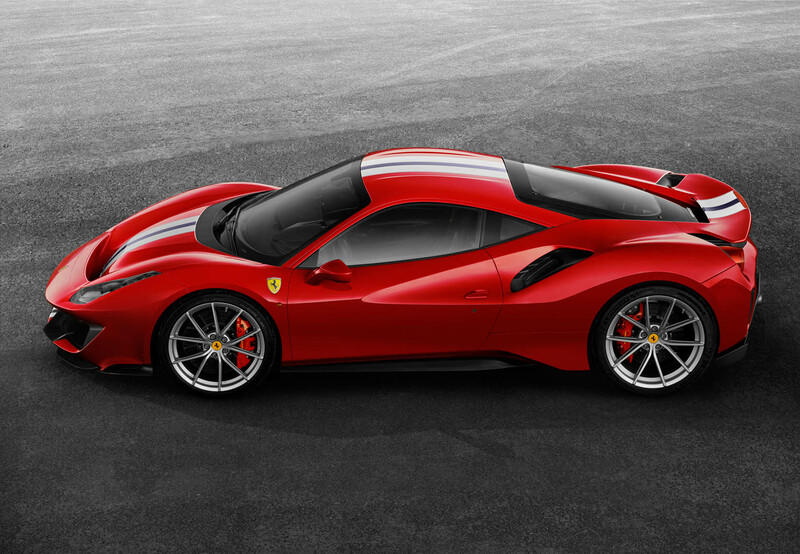 Ferrari has also updated its Slideslip Angle Control system, first seen on the 458 Speciale, which offers advanced stability control akin to a drift mode. The car uses Ferrari’s magnetorheological suspension set-up.The Pista will be available with 20in carbonfibre wheel rims, a first for Ferrari. Other carbonfibre parts include the engine cover, bumpers and rear spoiler. Order books for the 488 Pista will open after the car’s official debut at the Geneva show in March. It costs £252,695. 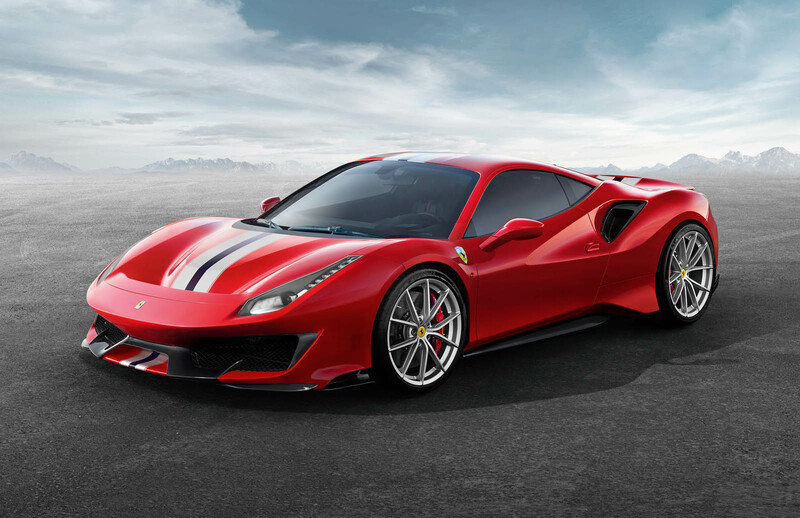 The arrival of the 488 Pista, which has been rumoured for many weeks, follows in the footsteps of models such as the 458 Speciale, 430 Scuderia and 360 Stradale, all considered the halo variants for their respective models. None was a limited-production model but was typically in production for only two or three years. Although the Ferrari 250 GTO was the first to receive the GTO moniker, it was the 288 GTO – known simply as the GTO – which began an era of creating more powerful, lighter versions of existing Ferrari road cars, an ethos that has continued to this day with the 488 Pista. The Ferrari GTO was built to race but, due to poor participation in the race series, the car never did and all 272 cars built were only ever used on road. Enzo Ferrari gifted the last-built GTO to Formula 1 driverNiki Lauda. The model used a 395bhp V8 with two turbos and achieved 0-62mph in 4.9sec. Given Autocar generosity towards Ferrari and Maserati, I am expecting some harsh comments on this car, which is a clear outrage to Aston and McLaren superiority. Get a life, guys. "The best supercar ​in the world"
I thought Autocar rated the McLaren 720S above the Ferrari 488? Either way if the Pista's predecessor's are anything to go by, performance should be absolutely scintilating especially around a track. Will it be quicker than a LaFerrari around a circuit? Well, both the F430 Scuderia and 458 Speciale were quicker than the more powerful and lighter Enzo I believe. And I must say the Italians seem to make their lighter, more focussed cars look better than anyone else. Despite stickers, brash wheels and other aero attenda, they still ooze desirability. And the Pista is no exeception in my book. Uglier than the Speciale, sadly, but then so is the 488 compared to the 458. The vertical outlets in the rear bumper are especially disappointing, looks like a cheap body kit, or something that Mansory would do. The rear arches now look purposeful. From all angles it looks a racer. Looking forward to see them at Le Mans again. On paper the performance is similar to the Senna but at £215,000 not the £750,000 the Senna cost the 500 people who have bought them. Given only a handful of the 500 will have the skill and nerves required to exploit any difference, they must be hoping the value of their Senna cars rises to a point that compensates them for paying three times what a similarly performing car could have cost them. As an afterthought, look up P1 GTR LM on You Tube and watch Martin Brundle driving one of these to a Ring record (before the car was driven back to the UK). My point about typical buyers not having the skill or nerves required to fully exploit these cars is well made by Martin. If you think you're handy behind the wheel - watch and weep. The article was really informative. I love Ferrari. I have a Home and building designers Kerala. I wish when my company starts generating a huge return on investment, I will buy a Ferrari. I am into real estate business. My company builds flats and apartments. We also carry out all the construction services and the interior design and decoration as well. Work hard, and save up. Best wishes. Or do you live in Alaska?